Spring Cleaning gets a bad rap for being a very overwhelming process. 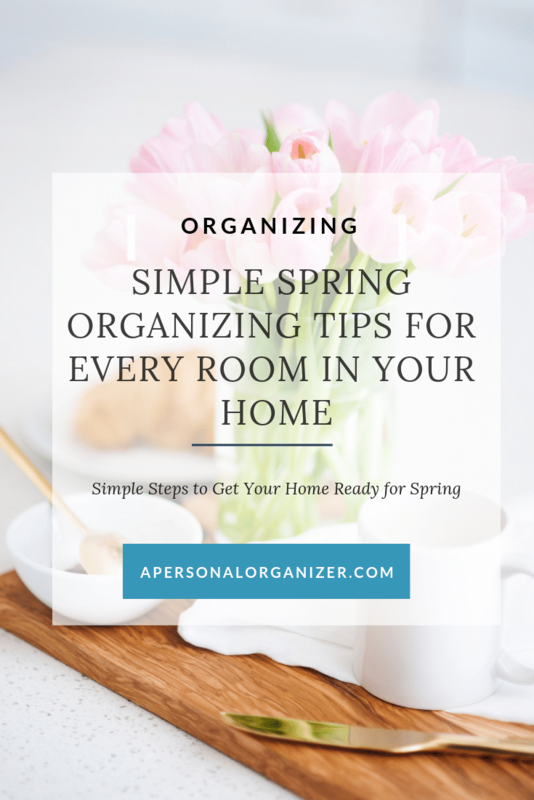 Instead of going into a panic thinking about how to deep clean every area of your house in one weekend, use this strategy of spring organizing tips for your home that gives you a few tasks in each room. Swap out linens. Swap out your heavier sheets for lighter textures for Spring as the warmer weather approaches. Change up your window treatments. 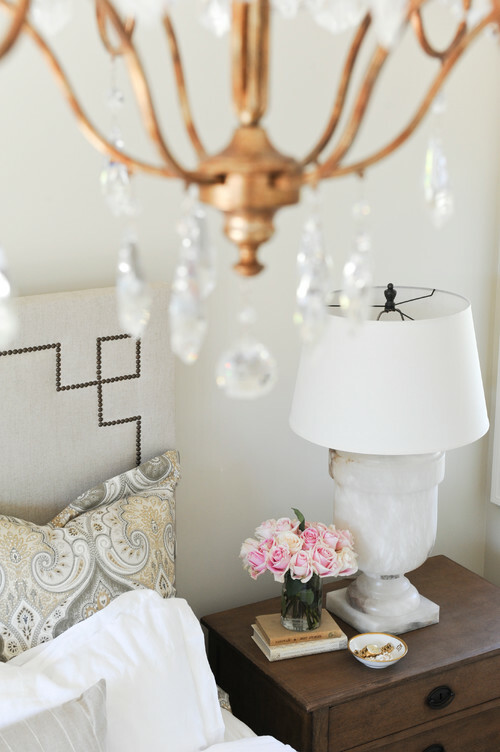 If you have heavy window treatments in your bedroom consider swapping those out for something lighter and airier to let all of that Spring light in. Give everything a good dusting. Clear away all of those dust bunnies from under the bed, nightstands, dressers, and ceiling corners. Add some flowers. Consider making it a habit of bringing a container of fresh cut flowers into your bedroom each week. When you do your grocery run, grab a bunch of flowers. What’s better than waking up to fresh flowers each morning? Swap out your towels. A new set of bright and colorful towels does wonder to brighten a bathroom for spring. Grab a new bath mat. Something new and plush is a welcome way to get out of the shower or bath. 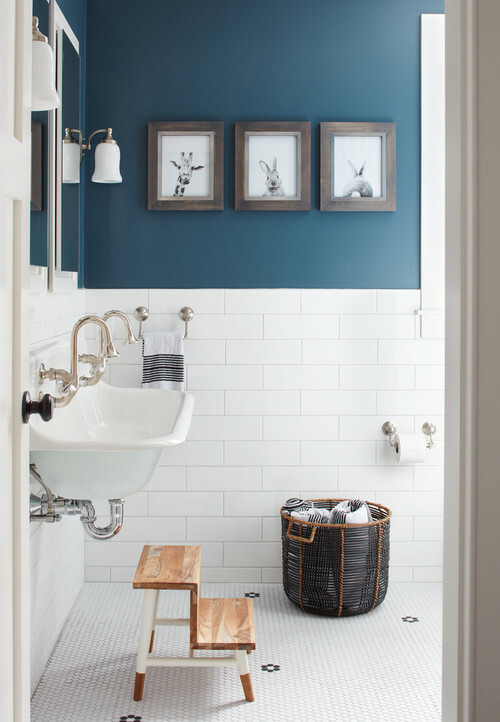 Refresh your bathroom accessories. Choose some new toothbrush caddies, jars, or baskets that highlight Spring colors or natural textures and fibers. Bring in some fresh spring scents with essential oil sticks, diffusers, or candles. Add some green. Adding fresh flowers, plants, or a small potted herb garden brings the freshness of Spring into your kitchen. You eat what you see. Place bowls of fresh fruit on your counter. Pre-wash and prep fresh veggies to have on hand up-front in your fridge. This is a good way to lighten up from those heavier Winter foods. Swap out your accent pillows, candles, and throws. Switching out warm and darker colors of Winter for a fresh, bright pop of Spring color will instantly make your living room feel spring ready. Let there be light. Spring light is a wonderful and welcome change to those short and dark Winter days. Take advantage of the light by swapping out your winter window treatments for lighter, airy ones. 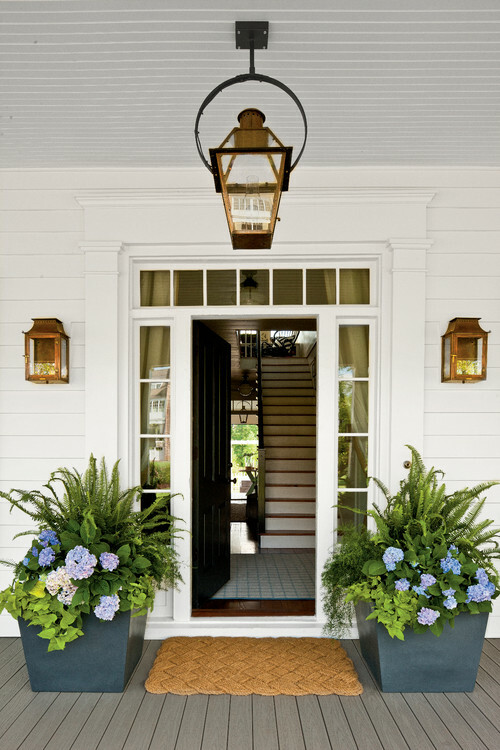 After the holiday season, the front entryway can get a little, well, neglected. Once SPring arrives, it’s a great time to refresh the first area you see of your home. Start by clearing your porch of any things that may have gathered there throughout the winter that don’t belong. Give the porch a good sweeping. Powerwash if that is an option for you. Now add some colorful and seasonal touches. A Spring wreath, a new doormat, be creative. Spring brings light, color, and new beginnings. It also brings a whole lot of MUD. 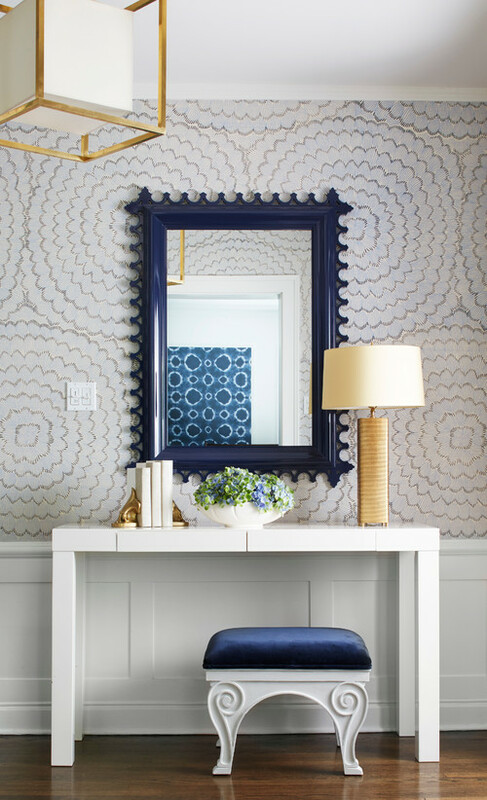 Be prepared and protect your floors and rugs by getting your entryway or foyer Spring ready. Use a Boot mat that is absorbent. Get creative with a cute sign reminding guests and residents to remove their shoes. Add a basket to corral small outdoor accessories. And place an umbrella stand by your door for those wet spring days. Spring is only a few weeks away (thank you)! With the weather warming up it’s a great time to freshen up spaces inside – and outside- your home. 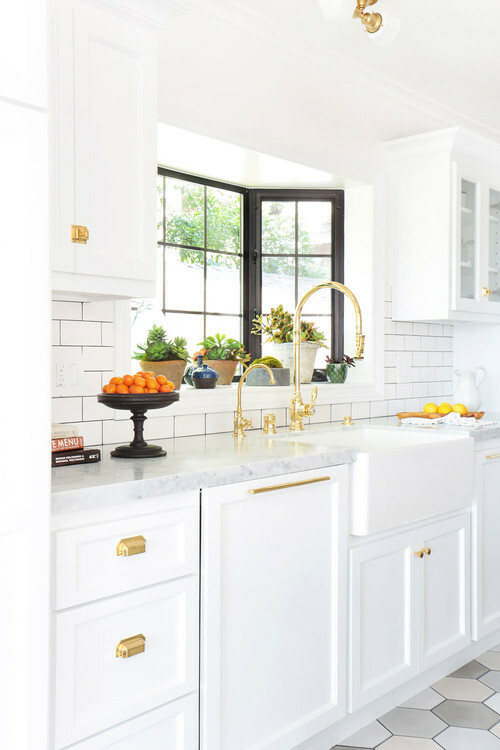 All of these simple changes and accents will really make your home feel ready for Spring.